The days ‘everything’ on the internet was freely available, are over. Today, most websites use some form of geoblocking. Using your IP-address and registered location as tools to shield their products and services. Using a VPN-server is the remedy to this nuisance. Geoblocking – the use of technology to restrict access to certain regions on the internet – of course has its reasons. Movie or tv show productions are very expensive. Just as the rights and licenses you need to air a movie in a certain region are. Chances are then, when a movie you look forward to isn’t screening in your country, it has to do with money. Apparently no-one was willing to pay for the licenses. The same principle applies to seemingly global services like Netflix or BBC iPlayer. Netflix has to pay for the streaming of series that are not their own property. And could choose to exclude certain territories for financial reasons. Every internet user is automatically assigned an IP-address that includes geographical details. This is the reason geoblocking is an option in the first place: without this geographical stamp, your computer would be just another computer. Now, geoblocking can be a nuisance. You desperately want to watch that tv series’ fourth season, but it only airs in neighboring territories? You need to catch up on the early work of your favorite actor, but can’t find the titles streaming anywhere in your country? In that case, it starts to become interesting to look into the circumvention of geo-blocking. The process to do so, is rather simple. By using a Proxy- or VPN-connection to obscure your IP-address, you can trick websites into believing your computer operates from a different territory than you actually are in. After which it allows you to see the content that would otherwise be unavailable to you. On april 1st 2018, new EU legislation on geoblocking and streaming content went into effect. There are no more blocks on content within the European Union. This means that streaming services can’t no longer block the content you’ve paid for or registered for. Best explained by example. Say you live in Holland (or any other EU country). And you are to go to Spain on a holiday. And want to watch some (paid) Dutch streaming services like Ziggo Sport or ‘Uitzendinggemist’. No problem anymore, since by the new rules, al boundaries are gone. And you’ll have no issue watching your favourite local content. Same goes for Netflix. By the new regulations, Netflix will now show you Dutch content in Spain, including Dutch subtitles. This because Netflix recognises your account, and since it knows you paid for a Dutch catalog, it will show you Dutch content. Even whilst having a Spanish ip. You also won’t have access to local (Spanish) content. When you stay in Spain for over 4 months, Netflix will switch to local content. But f you go to US, the location of the server will be leading over your account. This means, Netflix will still offer you their US library. These are the ‘old’ rules, since you are outside the EU: your IP address (server) is leading, not the origin of your Netflix account. That said, if you’re looking for some US-Netflix action, you’ve got two options. Actually visiting the USA, or logging in through an US based VPN server. Providers of streamed movies and series aren’t stupid, of course, and take precautions against this widespread practice. Before, it was be possible to use a simple ‘proxy’ (fake) IP-address to obscure your whereabouts, but this option has been all but rooted out. 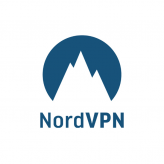 Today, the battle is centered around VPN-accounts: content providers block any (fake) IP associated with VPN-servers, after which VPN-server parties quickly set up a swath of new IP-addresses. And so on: it’s a cat-and-mouse game that is likely to last a very long time. Because of this game, we advise you to check out the stamina and ingenuity of VPN-providers when it comes to circumventing geoblocking. Smaller and free VPN services can appear to be clueless when they’re up against giants like Netflix, or the BBC. But larger providers specialise in offering non-blocked IP’s. Part of their ongoing efforts are special apps for iPad, iPhone, or Android. Which make it possible to find geo-blocked content on these devices as well. With a little research, you’d be able to find that series somewhere, and stream it, independent of your location! Curious about which VPN-providers have the best offers when it comes to circumventing geoblocking? We tested the best VPN’s to reach the popular Netflix and BBC iPlayer services. And have the results for you here.